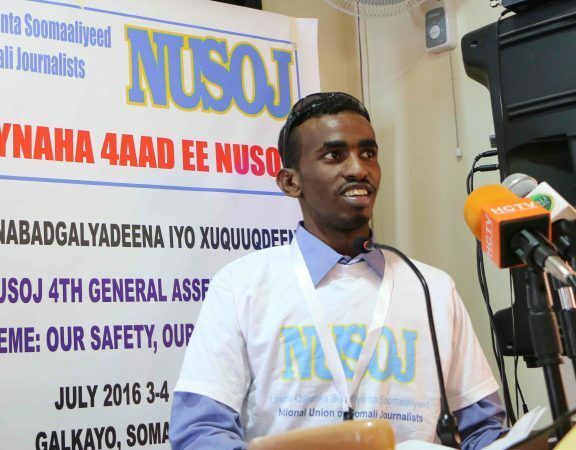 The National Union of Somali Journalists (NUSOJ) condemns attack on a prominent journalist in Galkayo, Mudug region, and demands Puntland authorities in Mudug region to bring those responsible to justice. Around 8pm, on Sunday, 5 February 2017, Puntland police with two police pickup trucks raised Radio Voice of Peace and forcefully interested the premises of the radio station. Soldiers, estimated to be around 30 armed officers, removed from his office journalist Ahmed Mohamed Ali, widely known Aano Geel, Director of Radio Voice of Peace, and started beating him up with guns and batons. Hit by five police soldiers, Ali sustained injuries to his neck, shoulders, lower back and chest, and was admitted to hospital. 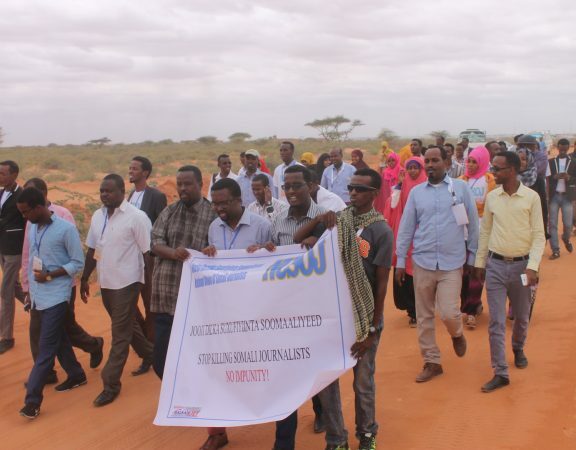 Another journalist, Rabile Abdikarim Mohamud, editor of the same radio station was almost beaten up after the journalist tried to intervene the beating of Ali. “We are witnessing a calculated police attack against the media. This police action is barbaric and can only be executed by thugs, and not any law enforcement agents. 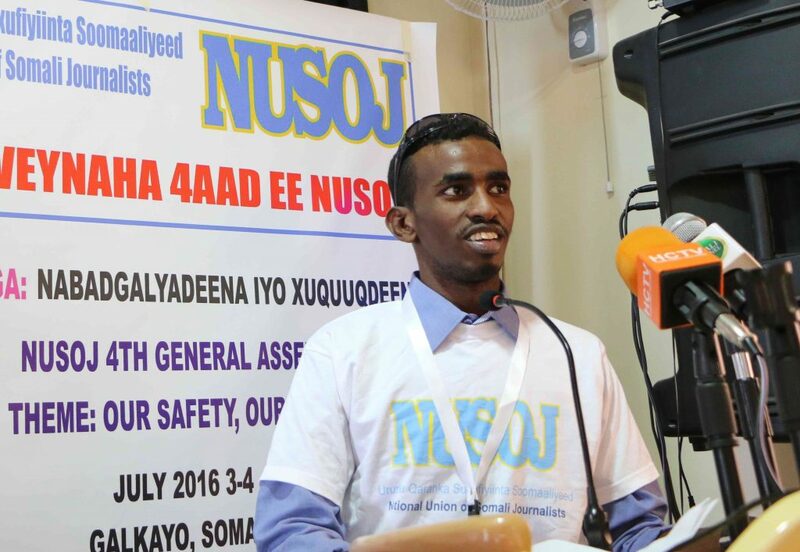 So we realize that there is a deliberate move to silence the media through their brutal acts committed against media but we need to need police interest” said Awil Mohamud Abdi, NUSOJ Organising Secretary who took Ali to hospital. 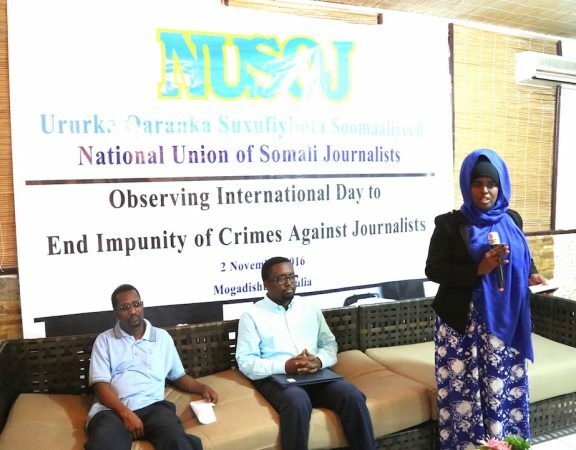 NUSOJ demanded the law enforcement agents in Puntland to furnish details of a through probe and those responsible for assaulting Ahmed Mohamed Ali (Aano Geel), added Abdi. 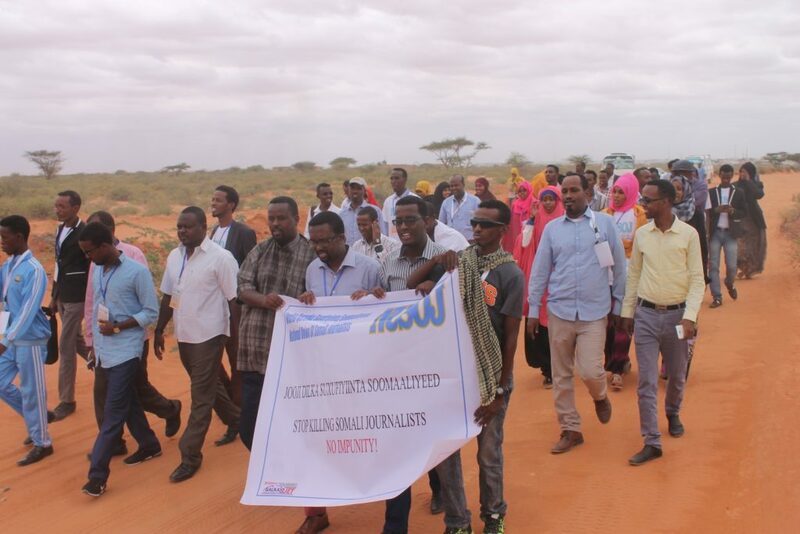 “We condemn the actions by the Puntland police for beating up journalist Ahmed Mohamed Ali. We implore the Puntland Police to investigate the case expeditiously and bring the perpetrators and the master minders of this act to book. 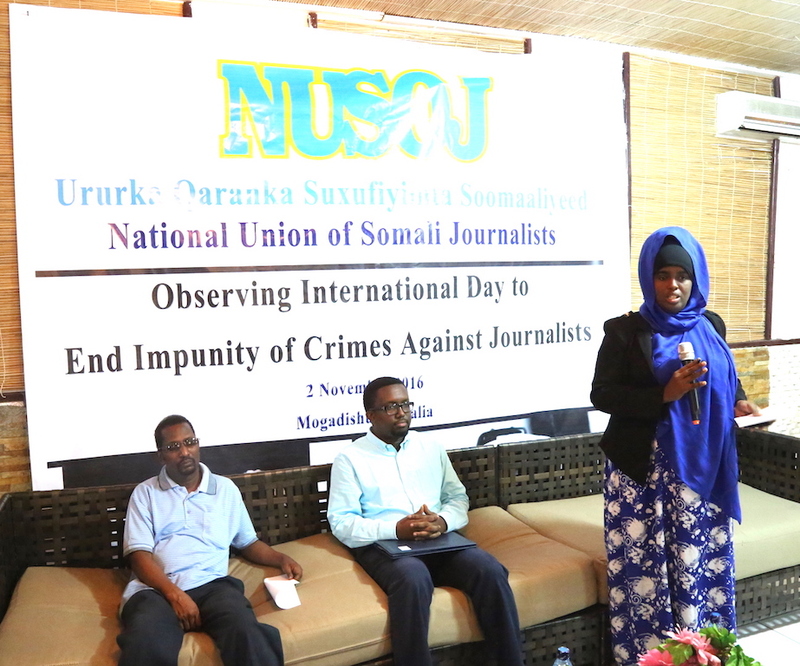 This callous behavior must not go unpunished,” said Omar Faruk Osman, NUSOJ Secretary General.